Over 50 school educational delegates from across the North West and Yorkshire are gathering in Burnley today alongside Burnley MP, Julie Cooper, to discuss financial threats to crucial nursery schools which provide key services in some of the UK's most deprived areas. With 68 maintained nursery schools (MNS) operating across the North West, the National Association of Head Teachers (NAHT) Maintained Nursery Schools Summit 2018 at Turf Moor will see leaders, teachers, and governors convene regarding proposed funding changes for 2020. Despite the NAHT insisting MNS have "a critical role to play in the delivery of high-quality early years education," their future is uncertain, with the government’s approach to early-years funding set to cut the additional funding they receive in 2020, leaving such schools unsure if they will be able to carry on or plan beyond that date. Using the Income Deprivation Affecting Children Index (IDACI), NAHT looked into the neighbourhoods in which MNS sit, and found that such schools are often in the most deprived areas of the UK, with 60% in neighbourhoods which lie in the three most deprived IDACI deciles and 80% in neighbourhoods which lie in the five most deprived. “Ministers say that high quality early childhood education in disadvantaged areas is a priority as part of their social mobility strategy," said Beatrice Merrick, Chief Executive Officer of Early Education, a national charity supporting early years practitioners. 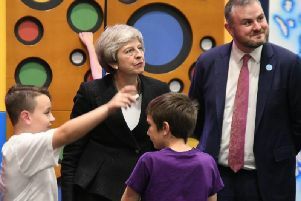 "And yet they are not putting in place a funding solution to stop the loss of maintained nursery schools, which offer precisely that, as well as supporting large numbers of children with SEND and helping raise standards across the sector. As well as Beatrice, Julie Cooper MP and Judy Shaw, NAHT’s Vice-President and Head Teacher at Tuel Lane Infant School and Nursery in Calderdale, will address the summit, with Judy saying: “We have made huge progress, with a succession of Early Years Ministers stating their support for the outstanding work done by maintained nursery schools, and strong cross-party support for a solution.